Item # 318677 Stash Points: 24,995 (?) This is the number of points you get in The Zumiez Stash for purchasing this item. Stash points are redeemable for exclusive rewards only available to Zumiez Stash members. To redeem your points check out the rewards catalog on thestash.zumiez.com. 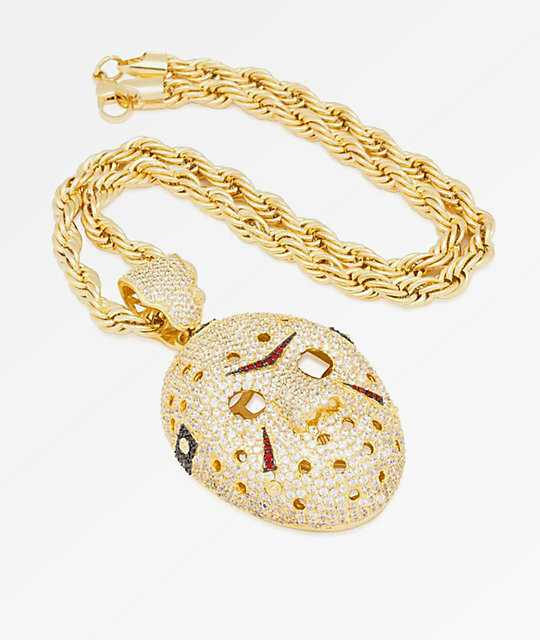 Step your ice game up with the eerie look of the Hockey Mask XL Gold Pendant Necklace from King Ice. 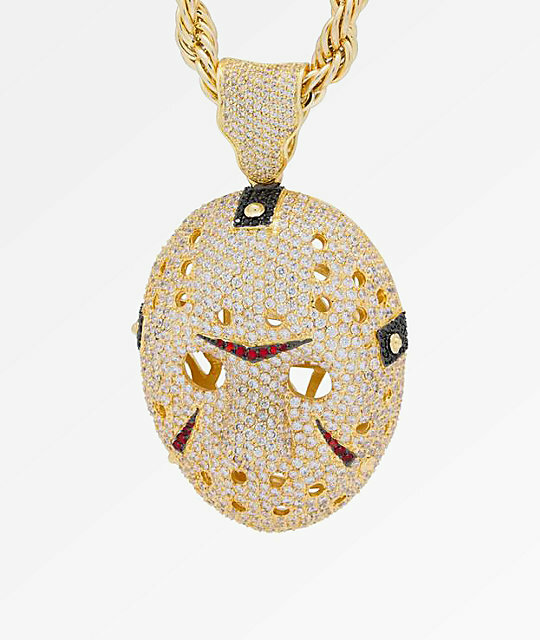 This gold plated hockey mask pendant is encrusted with red, onyx, and clear cubic zirconia stones for a look that will catch attention. Coming with an 8mm, 26" rope chain, this unique piece from King Ice is a must for horror movie and hockey fans alike. 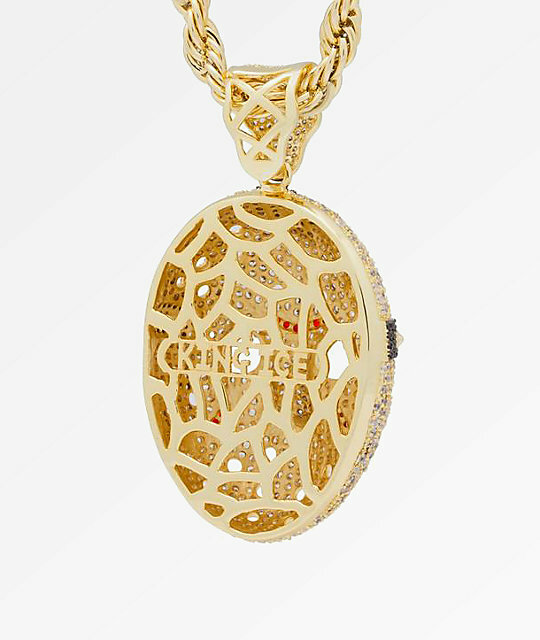 Hockey Mask XL Gold Pendant Necklace from King Ice. Clear, red, and onyx colored cubic zirconia stones throughout. 2" (5cm) x 3 3/4" (9.5cm) hockey mask pendant.